Galería Javier López is pleased to announce it’s launching of the new exhibition season with a solo exhibit by American artist Peter Halley (New York, 1953). 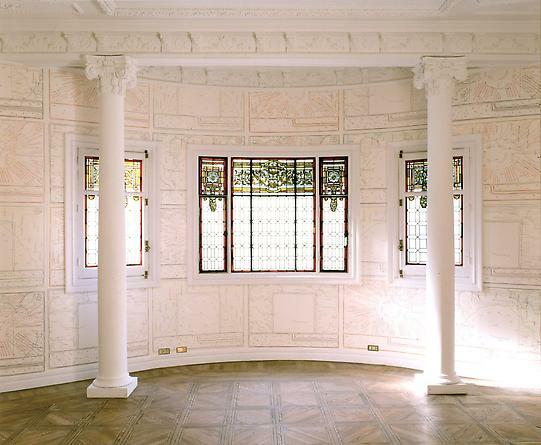 The opening of the show coincides with Madrid’s art fair, ARCO 2000. 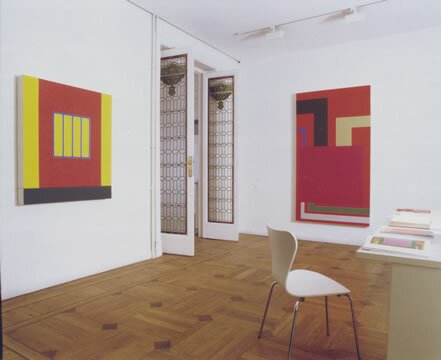 In December 1996, Galería Javier López inaugurated its art program in Madrid with a show of paintings by the artist. 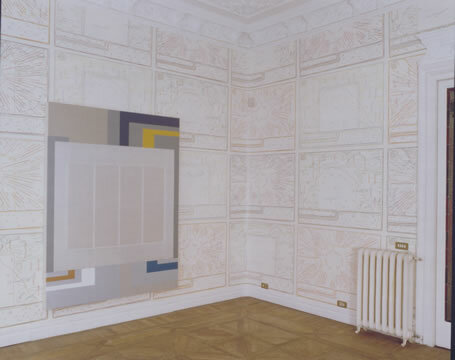 For this occasion, Peter Halley presents an installation in which paintings were disposed over a silk screen covering the gallery walls entirely. In doing so, he achieved a finished mural wallpaper look. 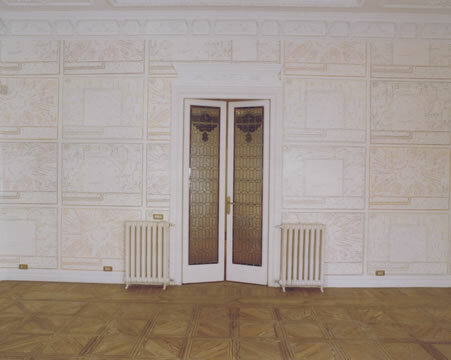 Since the mid-1990’s, Halley has produced site-specific installations and work for exhibitions. The Dallas Museum of Art (Texas) in 1995 commemorated the artist with a one-person museum show. Halley had transformed the museum rooms into a large and spectacular canvas. He chose to present an installation that he conceived as global; paintings, diagrams, silk screens and reliefs covered the entity’s walls. Since then, he has had several site-specific shows, among them: at Galerie Thaddaeus Ropac, Paris (1995), at the Museum Folkwang, Essen (1998), and most recently, at Waddington Galleries in London. Halley’s own pictorial language derives partly from theatre influences. The viewer may also appreciate Barrocan influences in his style characterized by a clear desire to trespass the painting’s frame. Present too in his art and writing is the dramatization in political and social territory. Other sources of inspiration that have shaped his work of art include Pop Art and Minimalism, aesthetically visible in his inclusion of media, technology and the notion of consumerism. Peter Halley became known during the eighties, he was a member of the neo-geo movement. His paintings present a parody or critic towards a formal and ideal modernism inherent in his depiction of cells, conducts, prisons and characteristic Roll-a-Tex texture and Day-Glo color. His paintings of this époque were brought for the first time to Spain by la Fundación Caja de Pensiones de Madrid that presented the celebrated exhibition “El Arte y su Doble.” Soon after, he would have a solo-exhibit at the Museo Nacional Centro de Arte Reina Sofía. 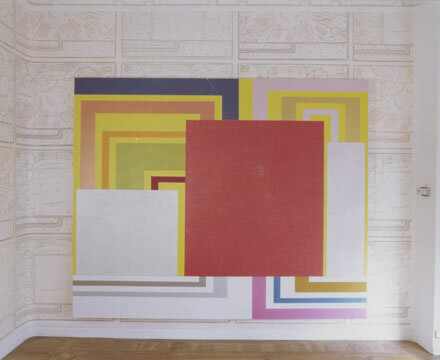 Since then, Peter Halley has continuously explored different creative ways. In addition to painting, he experiments with computer-generated images, producing his most renowned series in this area of concentration for a one-man show at the Museum of Modern Art in New York (MoMA). In the specialization of sculpture he innovates with glass fibers that he then applies to sculptural reliefs. Further, he occupies a leadership position as theorist in the arts and has published several books. Peter Halley continuous to be involved in an intense and enriching academic life and is professor at institutions both in Europe and the United States. He also produces videos and published in 1996 Index, a twice-monthly magazine, with curator Bob Nickas.